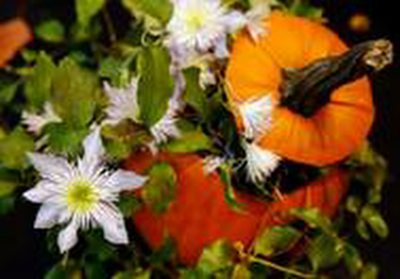 Reawaken your houseplants this Halloween at the RHS Urban Garden Show taking place from 27-28 October. With expert advice on hand to bring plants back from the brink of death, the London show will be the perfect place to stock up on everything you need to care for your houseplants, packed with top tips and practical workshops. Visitors can find out how to treat haunted houseplants with experts including Anne Swithinbank, Michael Perry (aka Mr Plant Geek) and the RHS Gardening Advice team who will be there to offer their best remedies for breathing new life into plants. Meanwhile visitors can learn the trick or treats of the trade with a number of talks running throughout the show, from keeping your plants flourishing all year round to discovering unusual edibles. With an abundance of ideas and inspiration for transforming your city spaces, some of London’s best nurseries will be bringing an array of plants suitable for all urban nooks. Whether it’s for a desk, windowsill, balcony or small garden, the RHS Horticultural Halls will be brimming with bewitched bonsais, creepy climbers and for the first time, a spellbinding display of florescent foliage with an immersive UV Garden. Tom Raffield brings daring new collection of steam bent designs to RHS Chelsea Flower Show 2019. RHS Hampton Court Palace Garden Festival 2019. Highlights announced!